I've seen a lot of different answers on the Internet to this question. Some were short but pretty technical, while others were two pages long! The simple answer – Audio mastering is applying effects to a full song or instrumental, on the stereo/main out bus. Effects like EQ, compression, loudness maximization, etc. are added to the song as needed. Then the mastered song is exported as a stereo interleaved .wav or .aiff file. Now it's ready for duplication and distribution. Note - In mastering, you cannot lower only the lead vocal track, or make only one of the guitar track louder. Mastering is a process that affects the song "overall." You can make the whole song louder, but not only an individual track. What's The Difference Between Mastering And Mixing? In the mixing process, the proper effects are added to each recorded track, along with panning and volume adjustments. In the final step, all the tracks are exported simultaneously to create a song. The song is exported as a single stereo interleaved file either .wav or .aiff. You're "mixing together" separate audio tracks to a make single track song. Audio mastering works with only ONE song file. There is no mixing of individual tracks involved. Do I Need To Go To School To Become An Audio Mastering Engineer? The short answer is definitely "NO!" I never went to school, and I'll go head to head with any of the top audio mastering engineers in the world. I don't have exact data on this, but I would say most audio mastering engineers do not have a college degree. The ones I know, most of them don't. And I know a lot of them. When I say school, I'm talking about a bachelor's degree from a major university. This is not a requirement. But, you do need training. Books, videos, a 6 month to a year audio engineer trade school or course, and then either a hands on apprenticeship at a local studio, or even working at your own home studio using all the techniques you've learned. You have to put the time in and hone your craft. You become a mastering engineer by learning the craft, practicing, and becoming great at audio mastering. This may sound like a silly answer, but these are the steps everyone takes. The "learning the craft" part is where you have many options. You can go to university, to an audio engineer trade school, take an online course, you could even learn from videos and books. What's An Audio Mastering Engineer's Salary? I own my own recording studio. 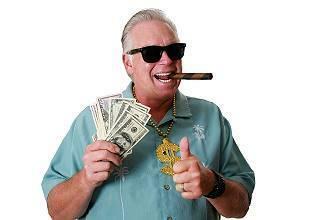 I focus mainly on audio mastering and earn over $100,000 a year. The top "name" audio mastering engineers in the world, who work with the top artists on the radio, can earn $5,000 to $10,000 per 12-song CD they master! They would earn $250-$500,000 a year by mastering just one 12-song CD a week. And some of them do. In the real world, working at a recording studio as an audio mastering engineer, average pay scale varies based on experience, the size and reputation of the studio, and the state you live in. What Are The Best Audio Mastering Softwares? CHEAP MASTERING SOFTWARE! If you're looking for a CHEAP all-in-one mastering software that will get you good results, I highly recommend buying iZotope Ozone . I personally use iZotope Ozone for a couple of processes, along with some expense hardware and other plugins. But, iZotope Ozone has EVERY processor you see below! 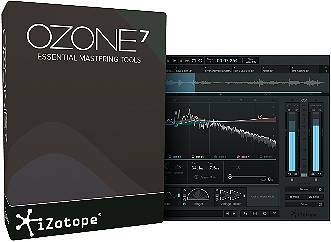 You could master your entire CD with just iZotope Ozone alone! Do All Songs Need To Be Mastered? Yes. Audio mastering is adding effects to a song on the stereo/main out. If this is not done, your song will not be compressed as a whole, overall EQ will not be properly balanced, also the songs will not be loud enough compared industry standard songs since a loudness maximizer is needed to achieve this. And loudness maximization is done in the mastering process on the stereo/main out. Note - Those were just a few mastering processes your songs need, just to give you an idea. There are many I did not mention. What Are The Effects Used In The Audio Mastering Process? Multi-Band Compressor, 5-Band Equalizer, Mid-Side 5-Band Equalizer, Multi-Band Spectral Enhancer, Multi-Band Stereo Widener, Multi-Band Reverb, Loudness Maximizer, De-esser. This answer below is based on the fact that a highly skilled audio mastering engineer is working on your song. Someone who doesn't know what they're doing could make your song worse! The song will be smoothed out and sound more like its all together. You will also be able to play it loud without it breaking up. The song will have the proper/improved amount of bass, brightness, etc. compared to and industry standard song that's on the radio. Both inside and outside of the stereo field, the song will have the proper/improved amount of bass, brightness, etc. compared to and industry standard song that's on the radio. The song will have the proper/improved boominess, brightness, clarity and separation. The song will be the proper/improved width in the stereo field compared to and industry standard song that's on the radio. The song will have the proper/improved amount of reverb compared to and industry standard song that's on the radio. The sharp Sssss sound can be lowered if needed. The song will be as loud as an industry standard song that's on the radio. Will Mastering Make My Song Better? In the hands of a highly skilled audio mastering engineer, It WILL DEFINITELY without a doubt sound better! That's like asking, "Will washing my dirty car make it look better?" YES, always! But, if it's a beat up rusted out 1970 Pacer, yes it will look "better" but the style of the car alone means it will never look "great." Same goes with audio mastering. The quality of the mix will dictate the final mastering results. But regardless it will sound better. Can I Use A Software Preset To Master My CD? Yes, but it will not work. Whenever I get a CD project in, every song varies. Some have too much bass, a few are right on, and some have no bass at all. The same goes for high-end EQ, compression, overall volume, etc. It all varies from song to song and a single preset doesn't know this. A single preset might work on 1/3 of the songs, but the other 2/3 would be off. Now, of course you could start with a preset. But each one needs to be adjusted so the songs have similar sonic qualities in all areas. And the songs must be comparable to an industry standard commercial song. What Is Radio Ready Mastering? 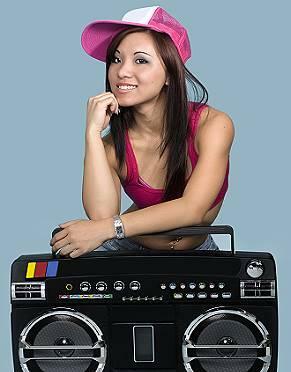 How Do You Know If Your Song Is Radio Ready? This is just a term that means your song is sonically comparable to songs on the radio that have been professionally mixed and mastered. These songs are not distorted, they're clear, they have the proper amount of bass for their genre, they don't break up when played loud, their overall volume is comparable, etc. Your goal in mastering is to replicate the sonic qualities of an industry standard song. I've heard so many sound engineers say there's no such thing as "radio ready." Really? If you mastered a song for a major label radio release and it was completely distorted and the volume was -7dbs under industry standard, what do you think they would tell you? This is fine because there's no such thing as radio ready? Yeah right. Ha! First off, the radio wouldn't even accept it at any price. Second, the label would tell you to master the song comparable to the current songs on the radio. The songs need to be "ready to go on the radio." You know if your song is radio ready by doing a side by side comparison. If you've properly replicated the sonic qualities of a song on the radio in your genre, then its radio ready. Now, many of you probably have the question - How do I do a side by side comparison? This is where some knowledge and skill in music mastering comes in, which I will discuss in another article. It's like asking, "How do I read an X-ray to diagnose a health problem." You need to know what you're looking for and what certain images mean. This has to be learned, and with experience you would become good at it. This is considered an audio mastering process, and is done by using a loudness maximizer on your main/stereo out. Waves makes a good loudness maximizer. If you're looking for a good cheaper alternative checkout Izotope Ozone. Every notice how when you turn a song on the radio up real loud it maintains its clarity and doesn't break up and distort? This is done in the song mastering process by using a multi-band compressor. How Much Does It Cost To Have A Song Mastered? The price to master a song GREATLY varies! You have kids and novice adults who charge $50 to master an entire 12 song CD! I definitely wouldn't even assume your results will be great, but that's what they charge. The top "name" audio mastering engineers in the world, who work with the top artists on the radio, can earn $5,000 to $10,000 per 12-song CD they master! They would earn $250-$500,000 a year by mastering just one 12-song CD a week. And some of them do. So, what's a good price? $30-$50 per song. There are a lot of AMAZING mastering engineers in this price range (including me). More expensive doesn't mean better. I've re-mastered at least 100 songs in my career that first went to a studio that charges $100-$150 a song, and the client got back GARBAGE. How Much Headroom Should I Leave For Mastering? Here's a more in-depth article - How Much Headroom For Mastering Should I Leave? I personally find -3 dbs of headroom is fine. That leaves me enough room to boost and balance all frequency ranges throughout the entire song. Just make sure you NEVER go over 0 level on ANY of the faders AND the stereo/main out. There's no need too. Loudness maximization in the mastering process takes care of it. A.) This .wav file peaks at -6db. A little low but just fine. I can work with this. B.) This .wav file peaks at -3db. This is great. drops down, leaving good dynamic range. I can work with this. just jack up your levels past 0 and distort everything to make your song louder. Loudness is increased in mastering. Do not submit a file that looks like this. "trainwreck file." +6db over-level and totally distorted from beginning to end. I can't do anything with this. No one can!! F.) This is an interesting file. We get this quite often too. It's the "train-wreck file"
we mentioned above, gained down -9db. It's completely distorted, but its -3db under 0 level. is -6db would look exactly the same. can't just gain it down. All you're doing is making a distorted file quieter. channels when exporting the original .wav file. and you're stuck with it. Gaining it down yourself does nothing. I would say someone just starting out in audio mastering might take an hour to A/B comparison a song and match it, over a few different sessions. That's an hour total time to master one song. This is how long it took me when I started in 1999! As you improve, you can get it down to 20-30 minutes per song. A very highly skilled audio mastering engineer can master a song in 10 minutes. I like to split this into two separate sessions, so I can finalize on fresh ears. Note - Reviewing the mastered song(s) on different mediums like a car stereo, headphones, etc. will add to the times given above. What File Type Should I Export For Mastering? A .wav or .aiff file 44.1 Khz, 16 or 24 bit. An MP3 file can be mastered, but it's of lower quality. Kind of like standard video vs HD video. Can You Master An MP3 File? Yes, but an mp3 is much lower quality than a .wav file of a .aiff. This is like asking, can I shoot a video in the old standard 720 instead of 1080p HD. Of course you can, but why would you want too? What's More Important, Having Top Music Gear Or The Talent Of The Mastering Engineer? No question, the talented engineer beats the top gear any day of the week. Someone who doesn't have a clue could have the most expensive mastering studio setup available and deliver a distorted song. A good engineer could beat that with the DAW stock effects that come free with the program! Here are some of my Favorite Gear Items.